Let me set you up for success. 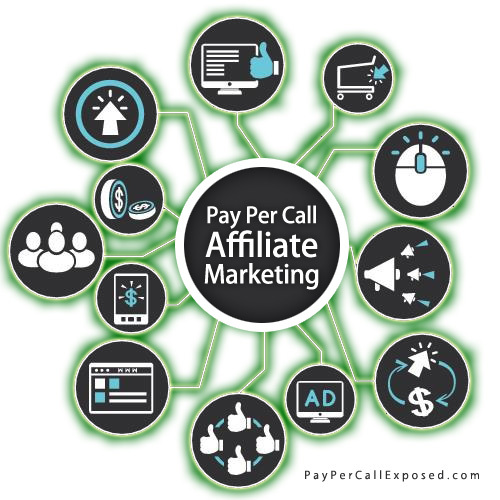 Have a 6-figure Pay Per Call Expert Setup Your Whole Pay Per Call Marketing Campaign from selecting a campaign, to building your landing page, to creating your ads in only 5 Days. *This is for SERIOUS Pay Per Call Affiliate Marketers seeking long-term passive income in 2017. Need a Pay Per Call Professional to Set It Up For You? BETTER CALL SAUL RAJ. Many new affiliate marketers need hands-on-help when jumping into making money online. Let me help! Over 10 days I will work with you to select the right offer for you, setup your site, setup your ads, optimize your ads and get you going running pay per call offers ASAP! I setup everything with the methods and tactics which earns me a 6 figure income. My goal is that after we setup your first campaign – that you will have enough knowledge and experience by directly working with me for 10 days that you will be able to easily duplicate what I have setup for you to many more future pay per call campaigns. The value of this service is priceless! You will have everything done for you, to start you onto the road to long-term profits! WHAT WILL I DO FOR YOU EXACTLY? Once we have an offer to promote. I will do keyword research for you using my own paid tools. The same tools I talk about in my tutorial. Once the landing page is complete. I will setup your AdWords OR Bing Ads account for you with keywords & ads leveraging my methods to get the highest conversions with the lowest cpc’s. I will show you how to replicate the setup for future offers as well. *You must have your own ads account. At the end of the first week of launching the offer, I will review the advertising performance, and make suggestions of what we need to do to optimize. You will learn what to look for, and will be able to duplicate my thought process for your own campaigns. In the end 2nd week, I will review again, this time noting down all changes, but YOU will implement. I will review to ensure it is done correctly. Now that the campaign is well optimized, going forward the campaign is yours to manage. But I am always around to help if you have questions. Full Access to my Pay Per Call Course Tutorial. To ensure you can continue your success! WHY WOULD I OFFER THIS SERVICE? Because many people don’t want to spend time research & building the campaign for their offers – they just want to manage it after. Because people need a good landing page to get approved from networks quickly. Because there are SO many pay per call offers out there that I am not worried about competition. Because I would love to be part of your new online venture and long-term income. Because I have been making passive income from pay per call affiliate marketing for 5+ years (10+ years affiliate marketing overall) that I know I would be even more successful if I had someone to show me how to do it exactly from the start. READY TO HAVE IT ALL SETUP BY PAY PER CALL EXPERT? This private, hands-on coaching & build will get you all setup and live with your pay per call offers and advertising within 5 days! I Setup Your Whole Pay Per Call Campaign & Business for $2599. To ensure I can focus and you get the value out of this personalized service on your campaign. I only coach 1 person at a time. I will help select a domain name, and setup your custom landing page (using the theme outlined in my pay per call course which you get access to as well), for your offer using my proven methods (on your hosting/domain). Showing you everything to ensure you can copy it for future offers. This can also be used to get approved to other networks quickly. I will setup your AdWords OR Bing Ads account for you (with ad/keywords). A complete walk-through of everything of complete campaign and how to replicate it for future offers. After campaign is live, You get 2 weeks of support and coaching over Skype & email 24/7 access to monitor and optimize the campaign. I want to clarify. There is no refund available. This is not a get rich quick scheme. I am setting up your complete first campaign for you to show you exactly how to do it. So you can continue running more offers, more landing pages and more ads on your own going forward. I am setting up your online business to motivate you to continue on your own – and make it your own. I cannot guarantee profits or calls (no one can) this is still up to you to tweak and optimize as time goes on. What you are getting is the best possible setup to ensure your first approach to pay per call is the best! As well I am just a email away if you have questions in the future. I am looking to build a relationship with people that I help.